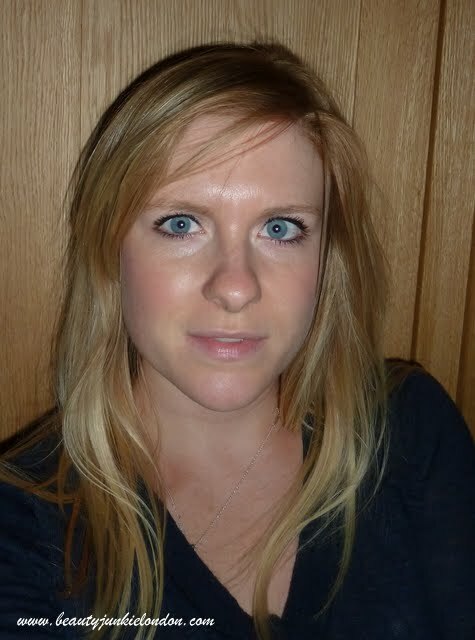 A little while ago I went to a Max Factor foundation masterclass with celeb make-up artist, Caroline Barnes. It was a really interesting day where I picked up quite a few really good tips… don’t put foundation down the centre of your nose, it looks more natural (she did this and it’s true, it does – but out of habit I still apply to my nose anyway) and use two shades of foundation to prevent your face looking flat and to add a bit of subtle dimension. The two shade thing has been something I have stuck with. 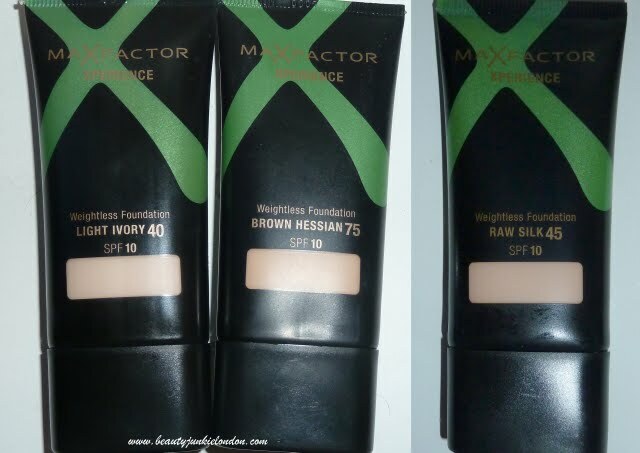 Since the event Max Factor Experience Foundation has been my base of choice (winning over my Chanel Aqua foundation…) it’s really lightweight, blends easily, gives light to medium coverage and lasts well. I do find I need to dust powder over at lunchtime, but other that that it’s all positive. I had actually been sent a sample of the Experience Foundation back when it first launched, but when I went to use it first time I really didn’t like it. I don’t know what it was (perhaps it had separated in the tube or something) but it came out much more like a mousse foundation and just didn’t blend well at all. You know when I mousse goes all uneven and a bit chalky when applied? It did that. So I few months on, not using it – I was re-introduced at the event and the texture seemed totally different. It was a light liquid and really nice to use, and felt good on the skin. No chalky mousse-like effect in sight. So I dug out my original sample and combined it with the two I was given at the masterclass (two shades for the texture/dimension thing) and found that the original’s texture was actually, totally fine. No idea what happened on first use, but this can be a lesson in giving products more of a chance before forming opinions! Sine I currently have a bit of a (fake) tan, I am mostly using Brown Hessian (never thought I’d use a foundation with the word brown that matches my skintone!) with a bit of either Raw Silk or Light Ivory under the eye area to help brighten the face. I mostly apply the Max Factor Experience foundation with a brush, but fingers would also be fine. Max Factor Experience Foundation is around £9.99 (currently on 3 for 2) at Boots. I’ve got this foundation but it makes my skin really oily almost instantly. I wear it sometimes but as long as its on for an hour or two. Hey there, i have awarded you a blog award, check out the link http://blogofmeme.blogspot.com/ to check it out. 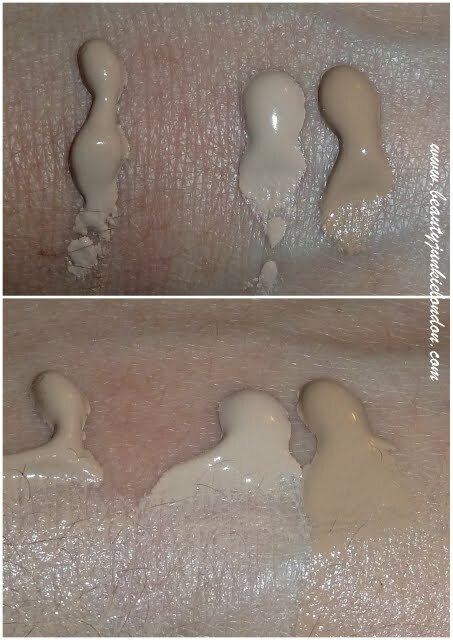 I find a good primer shorts out most foundation issues!! Rimmel London Fix & Perfect is a bargain.. I find a good primer can sort most foundation issues.. Rimmel London Fix & Perfect is amazing an a bargain!